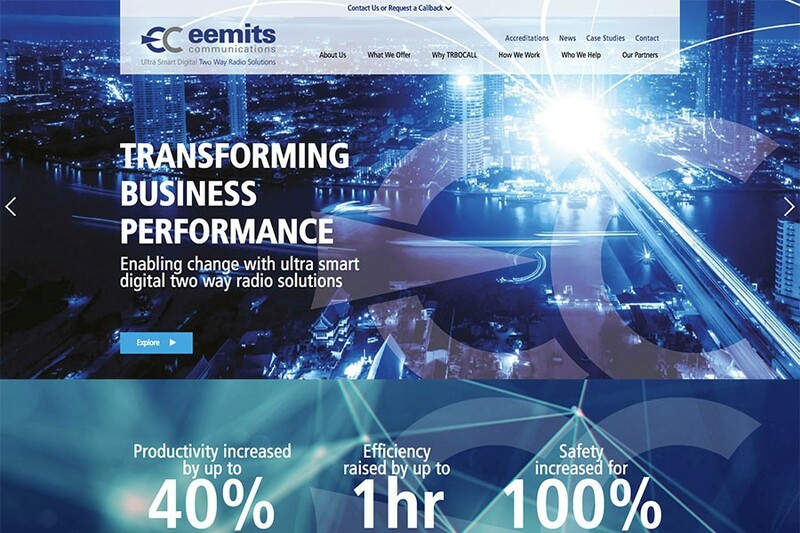 Eemits Communications Ltd an existing customer and have been with Design365 for 2 years. 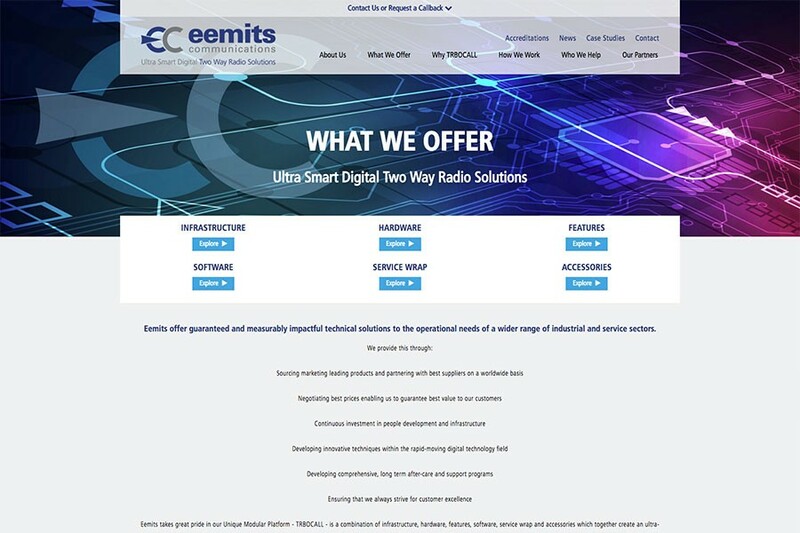 Eemits Communications Ltd, are located in Middlesbrough, one of the UK’s leading providers of two-way radio communications equipment and are a proud company to bring 2 way radio’s into the digital age. 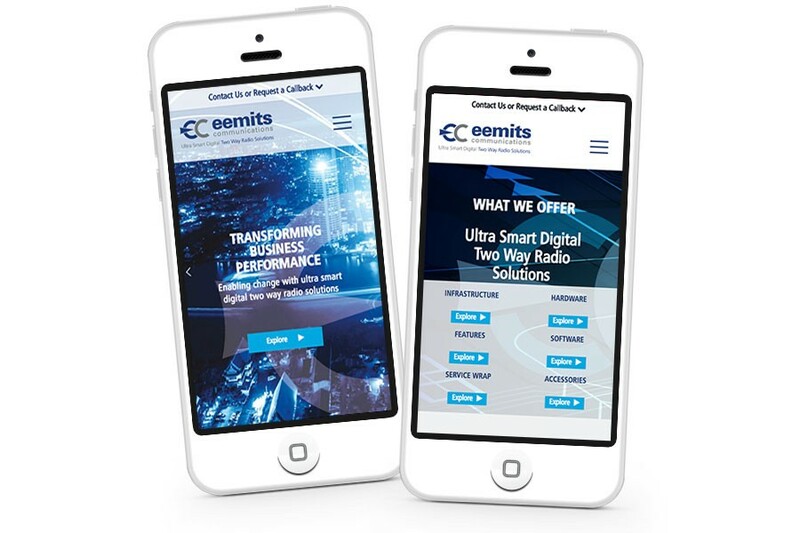 Our PHP Developer, James developed their new website working with out frontend developers to produce a truly responsive; allowing people to view the website on mobile devices and tablets. 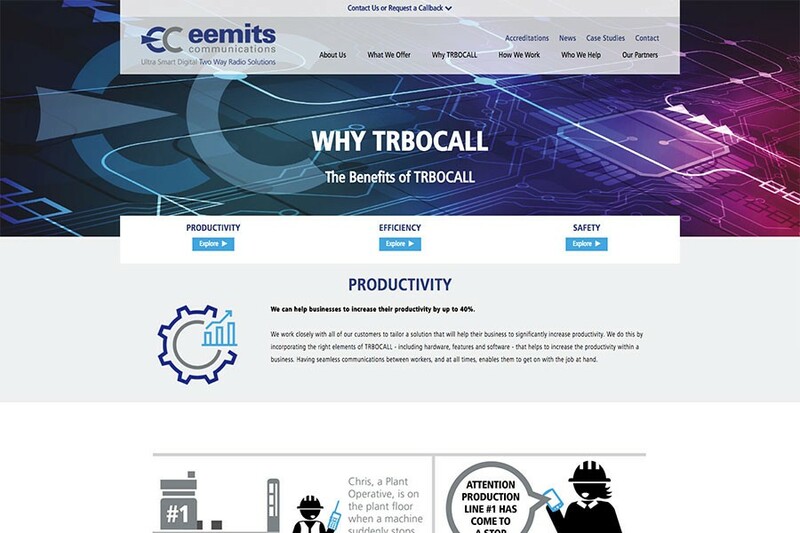 Their site was a built CMS (Content Management System) allowing the company’s to edit, upload and delete their content and images, giving a website with flexibility.